The migration of spending from physical stores to online is creating a myriad of threats and opportunities for CPG firms. However, when it comes to individual categories, some are more advanced in their drive to digital than others. Pet care is one of those in the vanguard of the advance to online. As such, it holds relevant lessons for other segments of the CPG industry. 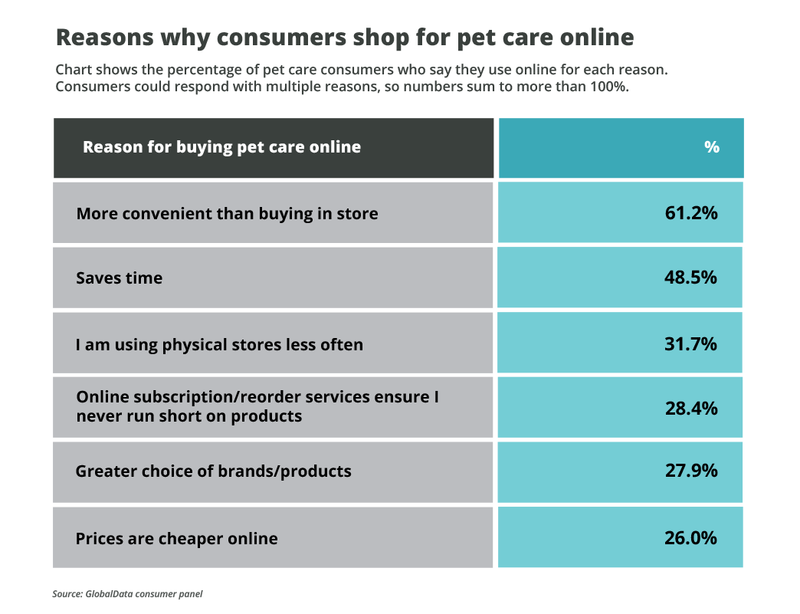 In this article, we explore the online dynamics of pet care, the implications for CPG firms, and the considerations for brands in this new era of pet retailing. 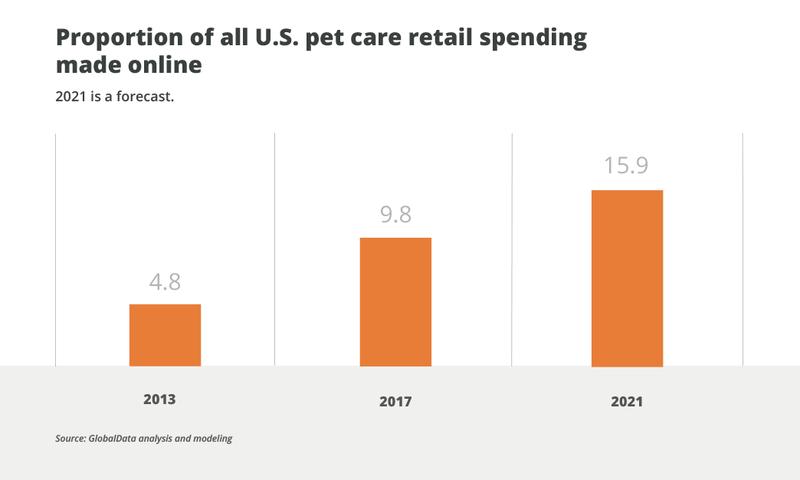 In terms of growth, the pet care market has been one of the stars of the CPG sector. In 2017, Americans spent $41.4 billion on pet food, pet care products, and other sundries – with a further $27.2 billion spent on services such as veterinary care, boarding, and grooming. Over the past five years, the retail part of the market, which excludes services, has grown by 21.4%. Despite intense price competition in pet retail, which is deflating growth, these dynamics look set to continue. As such, the pet care market is forecast to grow by 17.7% to $48.7 billion by 2021. 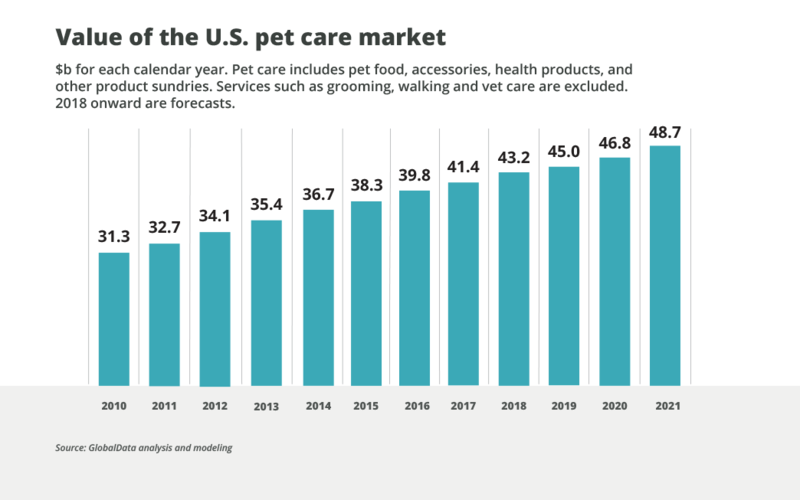 "The pet care market is forecast to grow by 17.7% to $48.7 billion by 2021." While overall growth in pet care has been impressive, online has been a standout part of the market. Back in 2010, consumers spent $1.1 billion on pet care online; last year, that figure was $4.1 billion – an increase of almost 281%. This year, online will account for almost $1 out of every $10 spent on pet care – a figure way above online grocery penetration, which still only accounts for around 40 cents of every $10 spent. 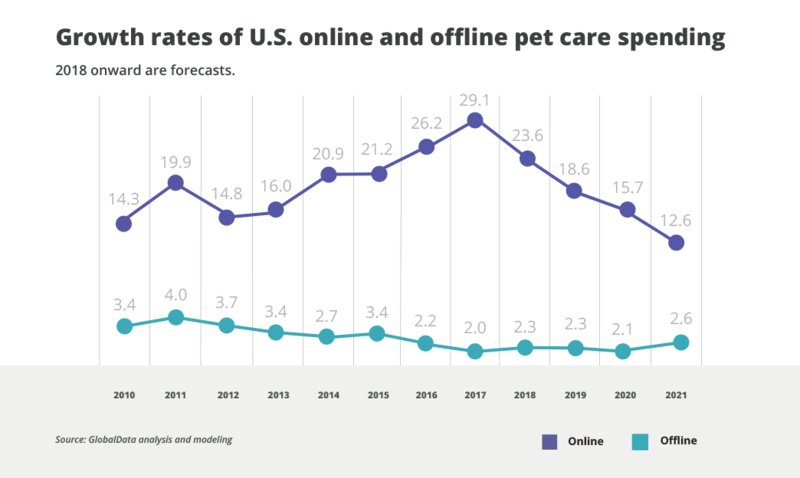 Looking ahead, the growth of online pet care will continue to run above average. As such, the penetration of online pet care sales will be around 15.9% by 2021. "Back in 2010, consumers spent $1.1 billion on pet care online; last year, that figure was $4.1 billion – an increase of almost 281%." There are several reasons why online growth in pet care has accelerated at a rate above other grocery categories. Foremost among these is the habitual nature of purchasing, especially in pet food. Most pet owners are happy to buy the same products on a regular basis. This means the category lends itself to online purchasing, as there is less of a need to use stores to explore and look at brands. Some retailers even offer automated reordering or subscription services for products like pet food. This addresses the need for convenience – especially at a time when fewer consumers are doing regular grocery shops. Many pet products, including a lot of pet food, are non-perishable. Unlike fresh groceries, this makes delivery practical and cost-effective. This is one of the reasons many retailers have focused on the category as a growth area and have prioritized it over other grocery products. Finally, while it is not the primary reason for shopping online, the view that better prices and deals can be found on the internet is a consideration for many shoppers buying pet care on a budget. 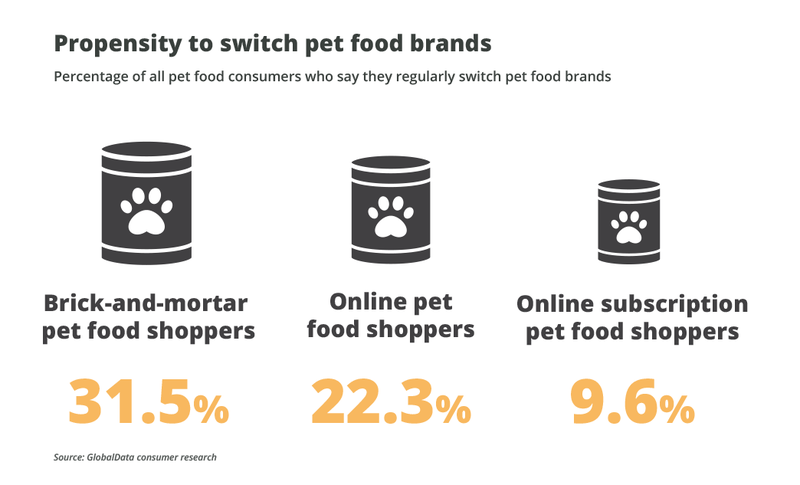 While the robust growth of online is positive for the pet care market overall, the shift to digital has implications for CPG brands involved in the category. Consider, for example, the propensity to switch brands. In physical shops, this inclination is higher as shoppers react to in-store marketing, packaging changes, offers, and deals. This provides brands with an opportunity to attract new customers and to activate sales via marketing and campaigns. Online, the propensity to switch drops back – especially among those shoppers using subscription services. While this might be good news for customer retention and brand loyalty, it reduces the opportunity for brands to expand sales and market share. When selling via third-party sites like Amazon, the lack of control brands can exert is exacerbated by the fact that those sites determine the order of search results and which brands are showcased and promoted. While brands can establish good working relationships with third-party merchants, they are at the mercy of those players far more than they are in physical stores. Given that many online retailers like Amazon want to extend sales of their owned-label products, this leaves pet brand owners in a potentially vulnerable position. Indeed, Amazon is already pushing its ‘Amazon Basics’ range across pet accessories and pet care. Brand owners also face a challenge in presenting themselves as authorities on pet care. Many online retailers, including Amazon, are building functionality such as pet profiling into their sites. This allows owners to create detailed profiles of their animals, which then drive recommendations as to what products to purchase and what promotions to offer. This, in turn, creates stickiness and loyalty to the online retailer rather than to a particular brand. While online throws up challenges for CPG pet brands, with appropriate responses, it also provides a host of opportunities. There are several things CPG firms can do to capitalize on these. The first is to ensure that brands are optimized, well differentiated, and resonate with consumers. Although this is not a fail-safe solution, it helps to mitigate the relative lack of control in the online channel. A go-to brand that consumers recognize is more likely to be searched for and purchased over other brands. A brand like Blue Buffalo, which was recently purchased by General Mills, is an example of a label with a powerful emotional connection to consumers. Its focus on wholesome, natural ingredients resonates with many shoppers and helps it cut through the noise of many generic brands. The second area of focus for CPG brands is in optimizing product information so that it can be pushed out to third-party marketplaces and retailers quickly and efficiently. Understanding the unique needs of shoppers on different sites and personalizing messages and information also helps to maximize conversions and sales. Nestlé Purina has done a lot of work in this area to optimize its information and sales via partners like Amazon, Target and Chewy.com. The third priority for CPG firms is to develop a compelling online presence that helps customers make informed choices and emphasizes the knowledge and authority of a brand. 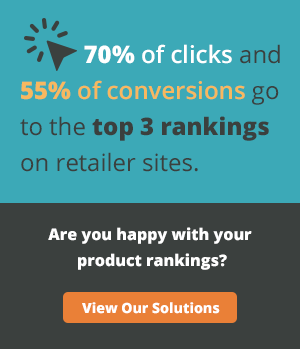 This helps to bypass retailers and allows CPG firms to showcase their complete offer. Ideally, such sites should also be e-commerce enabled, allowing for direct sales to customers via one-off and subscription-based purchasing. Purina’s site, which features a number of tools to help customers make decisions about which type of food to buy for their animals, is a good example of the type of functionality brands need to provide if they are to remain relevant and thrive in the online era. The fourth priority is to shift marketing into the digital space. As people love sharing and digesting stories, pictures and content about pets, the category lends itself to interaction via social media. This activity should help brands remain top-of-mind when online purchases are being made. A final consideration is tiered branding, where CPG firms use several different brands or sub-brands to address the various needs of online shoppers. For example, this allows basic, low-priced pet food to be offered without compromising the brand image or sales of higher-end products. This is particularly important online, where it is easier for consumers to compare products and therefore more common for there to be confusion in brand positioning. Blue Buffalo has used brand segmentation to differentiate between everyday products (sold under the Blue Basics sub-brand) and more premium products (sold under brands like Blue Freedom and Blue Earth Essentials). Despite the robust growth, the way in which pet care is sold is shifting. This movement necessitates a rethinking of the relationship between brands, retailers and consumers. From the CPG perspective, brands need to work much harder in establishing direct relationships with shoppers, in promoting and differentiating their labels, and in working with third-party online retailers to drive sales. Opportunities abound, but they will only come to those brands that actively seek them. Neil Saunders is a retail analyst and consultant. He currently serves as Managing Director of the research firm GlobalData, where he oversees the development of the company’s retail proposition and its research output. He also works with clients to help them understand the retail, shopper and market landscape. Neil is a founding partner of Prasentia, a firm that works with clients to help them communicate more effectively. Outside of work, Neil is an advisory board member for the faculty of business and law at the University of Southampton, an Honorary Lecturer at the University of New Hampshire, and a Visiting Fellow at the University of Surrey.